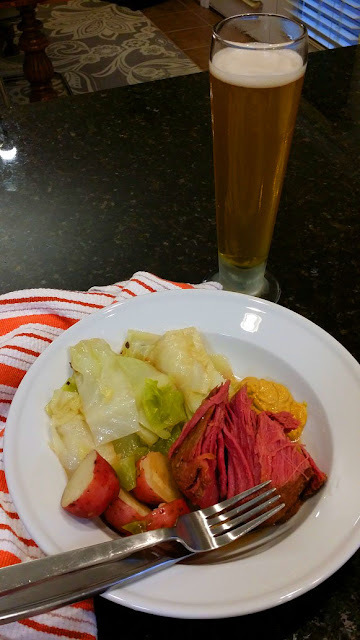 Hey everyone, this Thursday is St. Patrick's Day and although my hubby and I are too boring to go out and drink green beer, we sure do love to cook up a corned beef brisket with some cabbage and potatoes! Now, this post is a little misleading. 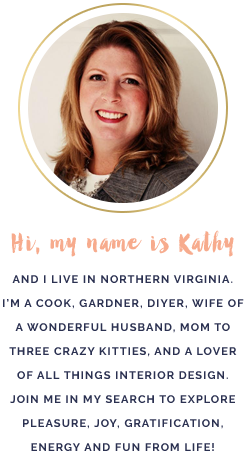 I normally prefer to cook my corned beef brisket in a crockpot and THEN cook the cabbage and potatoes in my pressure cooker. I've found that by doing it separately, the cabbage and potatoes don't become mushy and lose their distinct flavor. That's one thing I dislike about using my crockpot; food has a tendency to all come out tasting the same if it's cooked together over a long period of time. I've tried cooking the corned beef brisket in my pressure cooker, but for some reason, it didn't turn out the same. It lost that "low-and-slow" flavor intensity that you can only get from slow cooking and it wasn't as tender. So, I start my corned beef in the morning before I go to work and by the time I get home, it's nice and tender and it takes me 10 minutes to cook the cabbage and potatoes in my pressure cooker. 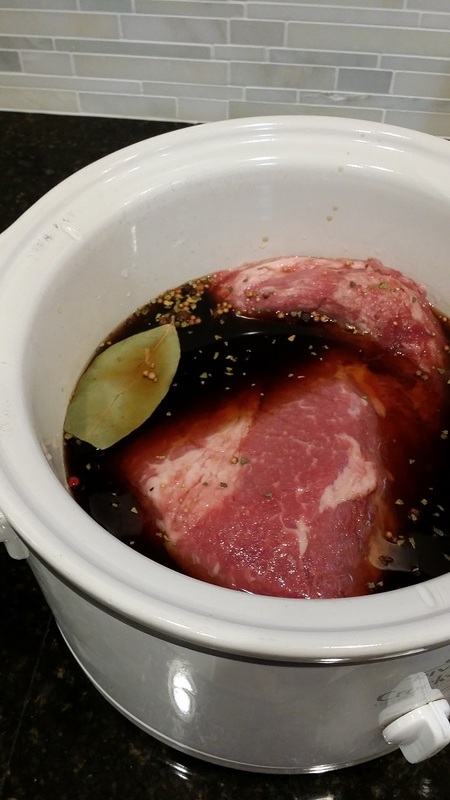 Take out the beef brisket from the packet, rinse it off, and put it in the crockpot. If the beef brisket has its own "spice packet" go ahead and add that to the crockpot. Add the remaining spices, bottle of beer, and add enough beef broth to almost cover brisket completely. Turn crockpot on low and cook 6-8 hours. 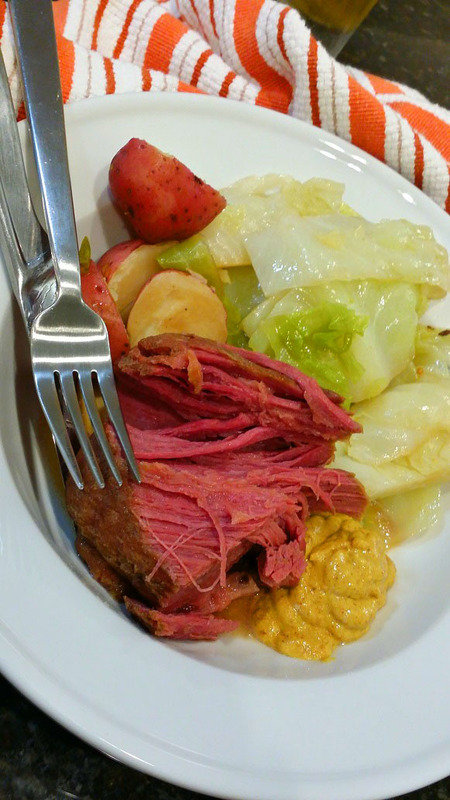 After cooking, turn off crockpot and remove corned beef to a plate or platter. Keep warm. Reserve at least 2 cups of the cooking liquid from crockpot. Cut up cabbage into large chunks and add to the pressure cooker. Leaving the cabbage in large chunks makes it easier to serve and keeps it from being over cooked. Take potatoes and scrub them, but leave the skins on. 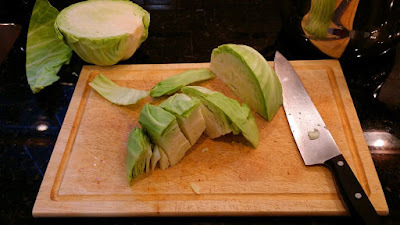 If they are small, leave them whole, but bigger ones can be sliced in half and added along with the cabbage. Do not fill your pressure cooker more than 3/4 full. 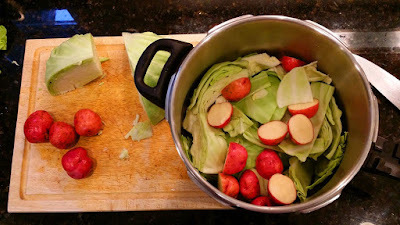 Add about 1 - 1 1/2 cups of the cooking liquid from the crockpot to the cabbage/potatoes in the pressure cooker. Seal pressure cooker and bring up to pressure over med/high heat. When at pressure, lower heat to low and pressure cook for 10 - 12 minutes. After timing, remove pressure cooker from heat and perform a quick release. Carefully open pressure cooker lid AWAY from you, test potatoes for consistency with a knife or fork. If not done, bring back up to pressure and cook another 2 -3 minutes. 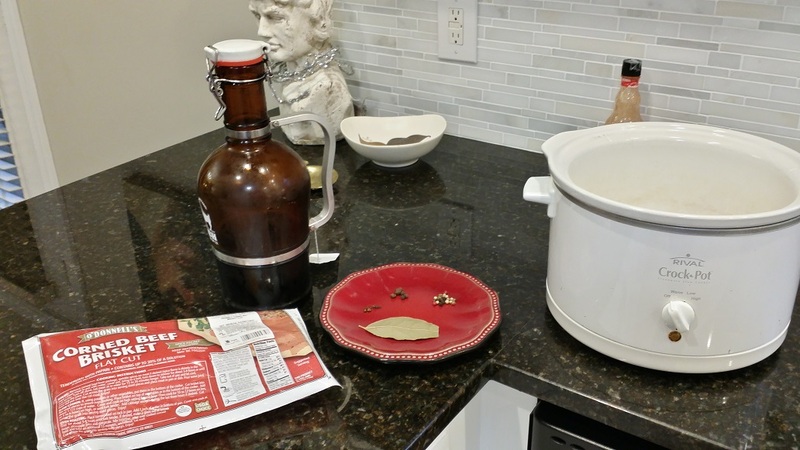 If done, drain the liquid from the pressure cooker and serve the cabbage and potatoes with the corned beef, spicy mustard, and a yummy beer!